It will be a shorter stage compared with the first one, but it will have more technical demand. 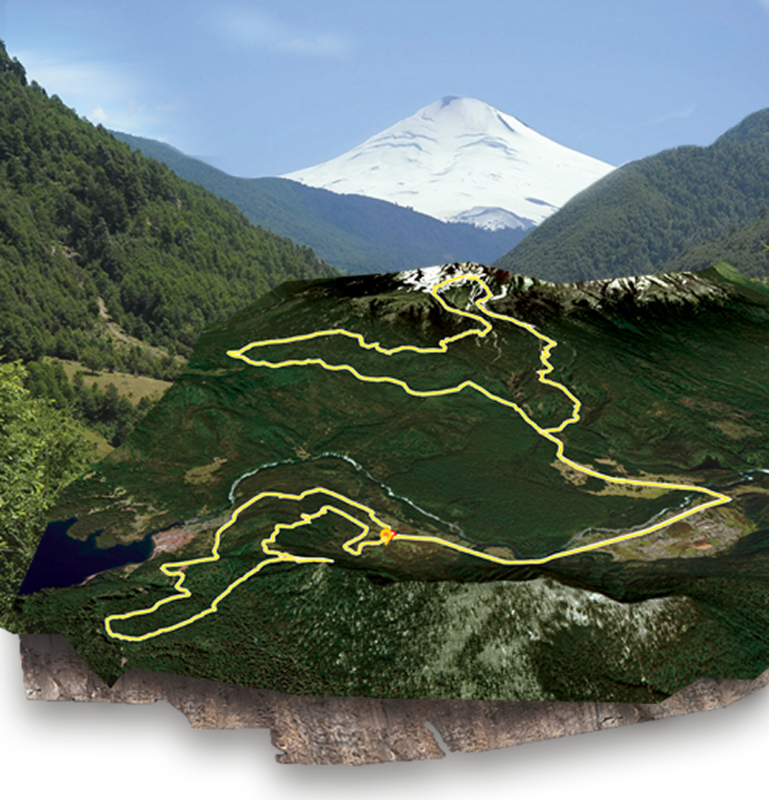 From the start line, you will head towards Puerto Fuy, where the first climb begins. After cresting the hill at Kilometer 8.3, you will start a fun descent toward the campsite (but not the finish line — you still have a long way to go!). After the campsite, you will take the Route 203 bike path to the south side of the Huilo Huilo Reserve via the Huilo Huilo Falls access at Kilometer 17. From there, begins an increasingly steep climb up to the Mocho-Choshuenco Volcano Ski Centre. It’s “just” a 17-kilometer climb with a short break in the middle. At Kilometer 34, starts a seven-kilometer trip back on the ultimate downhill trail, the “Sendero del Esquiador”, and then take the bike path to the campsite and finish line.